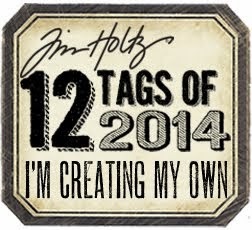 here is tag 8 ! This was a great one. Took a lot of time to make. I ended up cutting the little holly leaves. That was tough to do because of the size. The ticket was also created by me. 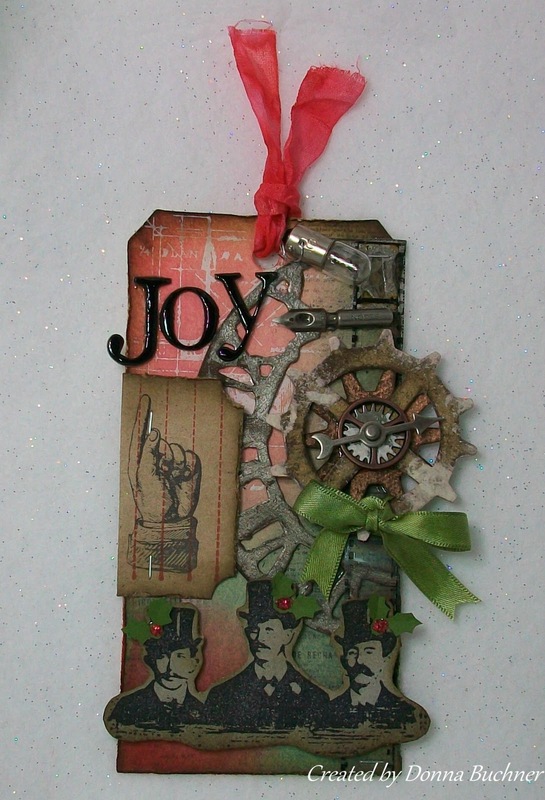 I stamped a journaling stamp using fired brick distress ink onto an kraft colored piece of filefolder, then stamped the hand image , and finally using the corner chomper to give it the ticket corners.